LCDHD‘s Harm Reduction Syringe Exchange Program (HRSEP) has been modeled after successful programs throughout the country. It uses a cost-effective approach with best practices for disease prevention by utilizing existing staff and health centers already set up for providing services to this population. The program is open to anyone who uses injection drugs. Exchange of needles and rapid HIV testing will be provided anonymously; however, other health services, such as blood tests for hepatitis C, HIV, STD’s , pregnancy tests, and immunizations will be provided confidentially. The program will operate during regular business hours. Syringe and equipment provided through the HRSEP is free of charge to the participant. Clinical services beyond the exchange of equipment and rapid testing for Hepatitis C and HIV may be billed per the regular sliding scale fee or to a third party payor if participant is enrolled. No participant will be turned away for inability to pay. All participants are required to agree to a list of Participant Rights and Responsibilities. Items covered by this policy include safely disposing of contaminated equipment and refraining from drug use on Health Department property. Violations can result in dismissal from the program. Specially trained Health Department staff will operate the program, with a nurse serving as the primary provider. If client volume for syringe access is higher, additional staff can be assigned to assist with the program. If client volume is low, the nurse can provide other public health services. The goal of the Syringe Exchange Program isn’t to supply needles to drug addicts. Supplying the needles is a strategy we are using to achieve our goals, which are: 1) to prevent the spread of Hepatitis C and HIV, 2) to decrease the cost to society for treating Hepatitis C and HIV, 3) to get dirty (used) needles out of the ditches, and parks, and off the roadsides and disposed of properly, and 4) to recommend referrals for treatment. Research shows that drug addicts, not diabetics, have a tendency to share dirty (used) needles and, thus, pass along blood borne pathogens. It is not a coincidence that Kentucky has high rates of heroin use and the highest rates of Hepatitis C in the nation. Thus, the CDC has identified 54 Kentucky counties at high risk for an HIV outbreak. If you are a diabetic who needs assistance with diabetic supplies, please check out this resource: The Kentucky Prescription Assistance Program (KPAP). Reflects the Health Department’s duty to stop the spread of infectious diseases required by state law. Is a highly effective public health intervention that helps stops the spread of Hepatitis B, C, and HIV. Provides access and referrals to health care, including counseling, testing and treatment. Increases likelihood of entering treatment for a substance use disorder. Helps remove dirty needles from public spaces, thus reducing the public’s risk of accidental needlesticks. Cost effective with a 1:7 return on investment. How will the effectiveness be evaluated? Number of referrals to other community resources. Do reduce the spread of blood-borne disease like HIV, Hepatitis B and C, etc. Do help people get on the path to drug treatment. Do NOT encourage individuals to begin using drugs. Do NOT increase drug use among existing users. Do NOT increase crime in neighborhoods in which they operate. Learn more: Kentucky Department for Public Health: Syringe Exchange. 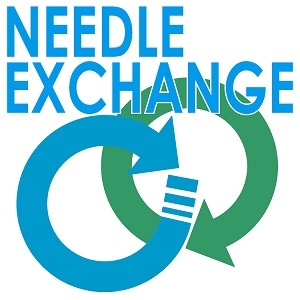 What are the goals of the Syringe/Needle Exchange Program? To prevent the spread of Hepatitis C and HIV explained as follows by Dr. Miles, long time member of the Russell County Board of Health. To decrease the cost to society for treating Hepatitis C and HIV. To get dirty (used) needles out of the ditches, and parks, and off the roadsides and disposed of properly; and, to recommend referrals for treatment.